Under no circumstances shall Slime Man be responsible or liable, directly or indirectly, for any damage or loss caused or alleged to be caused by or in connection with the use of any product or service available on or through any game or web site. These games are for entertainment purposes only. No real money is won or lost. Leo Products Ltd is registered with the Information Commissioner in the UK as a “data controller” in accordance with the provisions of the Data Protection Act 1998. We will always let you have a copy of personal information we have about you, should you request it, and you may correct it if you wish. Please contact us to do this. We issue newsletters to provide information about Slime Man and the Leo Network. Your email address will NEVER be shared or sold to other companies and you are welcome to unsubscribe from the newsletter at any time. 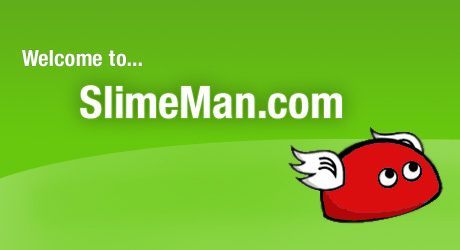 This website is under the copyright of SlimeMan.com which is owned by Leo Products Ltd all our copyrights are reserved and any infringement on copyright is taken very seriously this copyright covers everything on this website apart from the games and adverts (see below). The games you find on this website are the copyright of their individual designers as shown when the game loads and not SlimeMan.com. Adverts on this site are under the copyright of their individual owners. When you use "Recommend your friend" we NEVER store your friends email address in our system and once a email has been sent to your friend the email is deleted.